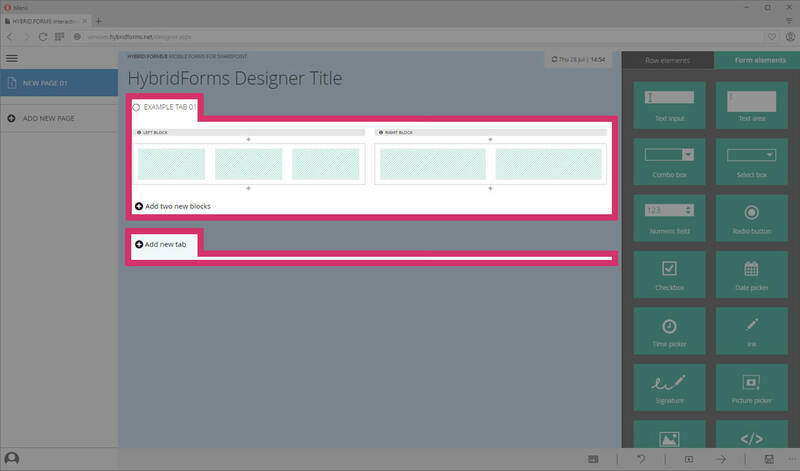 Tabs are used to structure a form page. They make the particular page look like a register and help you structurize your content. 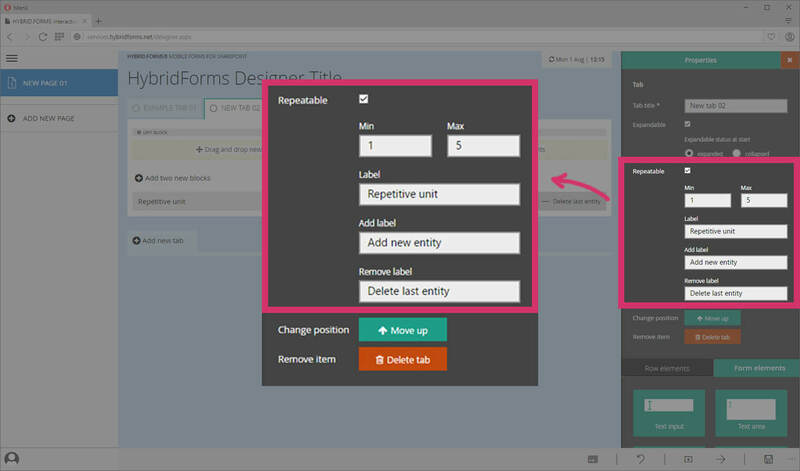 And they are also used to navigate quickly through your form by clicking on the respective tab. 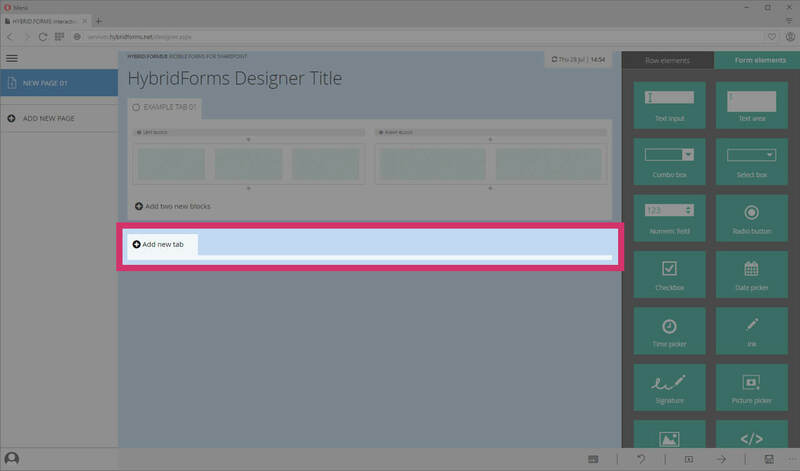 When loading the HybridForms Designer, the first tab is already set up. Click on the Button [Add new tab] to create a new tab section. First, click on the tab you want to rename. Note: The active tab is always shown with a turquoise outline. Then the properties of this tab opens on the right hand side of your browser window. It shows the actual title of the tab. Go on by typing in a new tab text. Finally, click elsewhere on the form. The new text will be set for this tab. Change position: Move a tab up or down. Click on the respective button to change the position. Click on the red button [Delete tab] But be careful: Once deleted, the content cannot be restored! The tab can be opened and closed by the user to show or hide content. 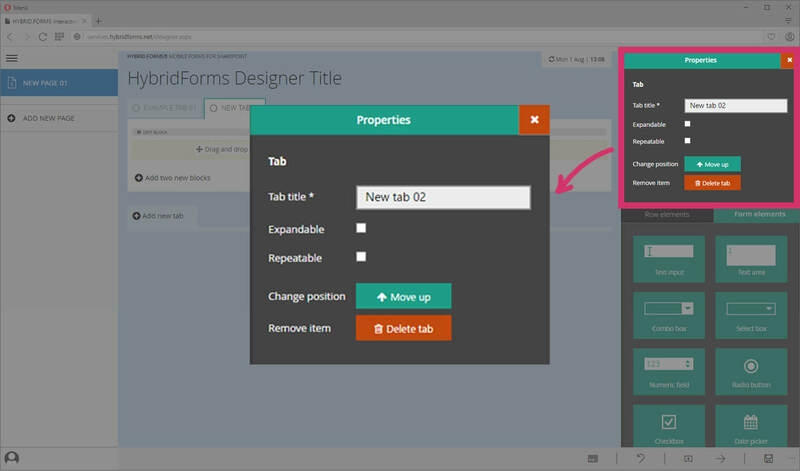 Simply click on the angle button next to the tab title to show or hide the information. Note: Closed tabs will be hidden in the PDF output. Sometimes, the form fields of a certain tab are needed more than once (e.g. an emergency transport carries three patients instead of one). 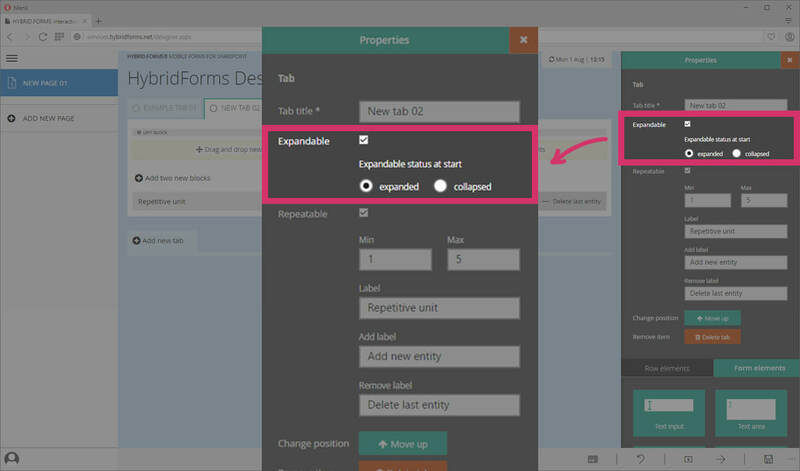 Select [Repeatable] and then the form fields within this tab can easily be duplicated with only one click.